Requirements: Provide eBook cards for a radio promotion, sponsored by popular recruitment website. Careerbuilder and author Nolan Bushnell set out for an extensive promotional book tour, including a radio interview. The goal of the tour was to promote Bushnell’s new book, Finding the Next Steve Jobs. As part of this campaign, the radio station received a bulk quantity of eBooks, which they could then distribute via eBook gift card. Listeners would receive their gift card which prompted the step-by-step eBook redemption and flexible reading experience. 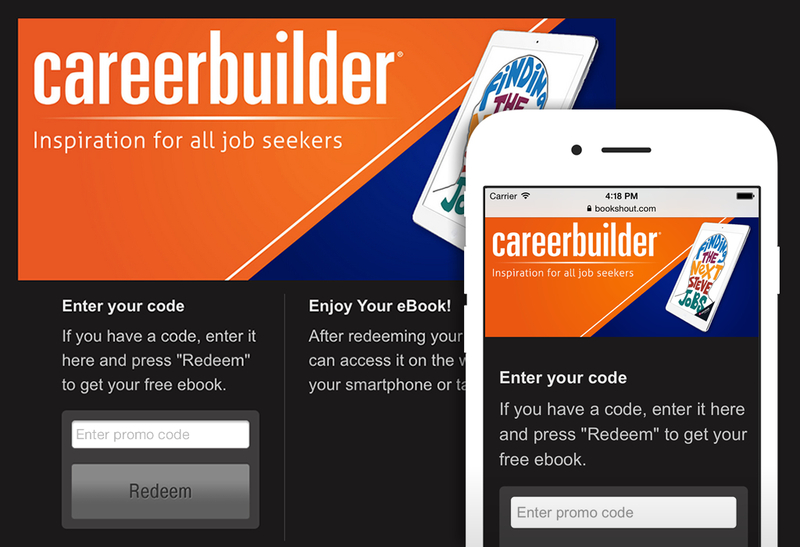 Careerbuilder sponsored the promotion, bought the eBooks, and had the cards shipped directly to the radio station in advance. Listeners received gift cards at the discretion of the radio station.